Honestly, for this reader, the rating is closer to a 3.5 than a 4, but I know my gripe is my own prejudice and probably won’t be shared by the majority, so I rounded up rather than down. Wolf Hunter is written in a blistering pace. Fast and enjoyable. However, there were times I wanted the pace to slow in order for the tension to mount naturally. After reading Wolf Hunter I feel as though the Nazi aspect was over-sold. There should have been more than 4-5 chapters worth of the Nazi’s fascination with the occult and more detail about the transformation itself, and outside of the impossible-to-pronounce surnames, there is only a swear word uttered in the German language. A little more dialect would have gone a long way to add flavor. That said, Wolf Hunter is a wild ride using lesser known tropes. The phase of the moon is irrelevant as these werewolves are skin walkers able to change when the need or desire arises, making them unpredictable. Copious amounts of blood is spilled, the plot twists keeping the reader on his or her toes, and the pages fly with the same voraciousness as the aforementioned beast. If you’re already a fan of the werewolf genre, you really have no reason not to buy this book right now. As for the rest of you, you just might find yourself a fan after devouring this book. 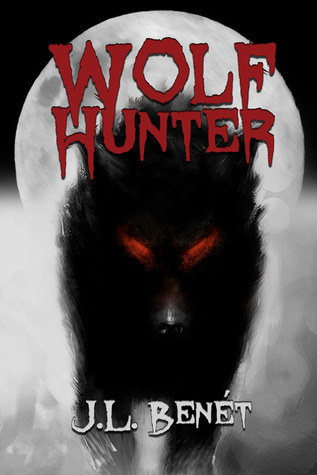 Sign into Goodreads to see if any of your friends have read Wolf Hunter.